Looking for something fun to do this month? 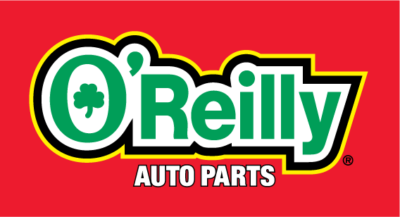 O’Reilly Motorsports is heading to an event near you! Check out the events below to see what action is to be had and stop by the O’Reilly Auto Parts display to say hi! Join us at the Miami Fairgrounds to see the metal munching monster truck superstars in all-out battle. Plus enjoy the Pro Arena series and Tuff Trucks obstacle course. For more event and discount ticket information visit our event page here. Over 400 mustangs from across the US are heading to Steamboat Springs for the 29th annual Rocky Mountain Mustang Roundup. Activities include Fun Ford Day at Bandimere Speedway, Scenic Mountain Tour, Autocross, Show n’ Shine Car Show, and more. Head to Virginia Motorsports Park for drag racing on the ¼ mile drag strip, an all Ford car show, swap meet and car corral. For more event and discount ticket information visit our event page here. Experience the ultimate import attraction at the Santa Clara County Fairgrounds. Activities include a car show, concert, DJ party, fashion show, music, and more! Join us Father’s Day weekend at the Fairplex for over 2,400 cars on display. This is the largest gathering of pre – 1936 roadsters and non- roadsters in attendance. For more event and discount ticket information visit our event page here. Join us in the Home of the “Big 3” for the Monster Energy NASCAR Cup Series and the Xfinity Series. Drivers will battle it out on the 2 mile speedway for a spot in the 2017 playoffs. NTPA heads to Recreation Park for 4 days of truck and tractor pulling. Who will break records and make the Full Pull. For more event and discount ticket information visit our event page here. Looking for a 55 – 57 Chevy car show? Join us at Maggie Valley Festival Grounds for the Tri – Five Reunion, swap meet, DJ, and awards. Cruise into the Colorado State Fairgrounds for the 33rd annual Rocky Mountain Street Rod Nationals. With over 1,800 street rods, classics, restored and special interest builds there is plenty to see for all ages. For more event and discount ticket information visit our event page here. The 25th anniversary of Greenwood Car Show is taking place this June. More than 750 classic cars will set up along the 2 miles of Greenwood Ave for the largest show in the city. Monster Energy NASCAR Cup Series heads to Wine Country for the 2.52 mile road course. Next Next post: Will a road-course ringer come out No. 1 at Sonoma Raceway?